Samsung is one of the world’s biggest and most successful tech companies today, and a large part of that success can be attributed to its former CEO, Jong Yong Yun. Mr. Yun was promoted to CEO of Samsung Electronics in 1997, and began his leadership phase by getting the company through a financial crisis in the Asian market. He served as CEO for eleven years, before retiring in 2008. Yun brought Samsung to the next level by implementing a corporate culture of innovation. He headed up a company-wide reorganization and brought revenues up five-hundred percent to $103 billion by 2007. His strategic plan included the “Three Ps,” product, process, and personnel innovation. To keep the company alive and push it toward success, he cut back on departments that were too marginal and had too low a rate of return. He brought a stronger focus to technology and did away with products that didn’t fit that model. Samsung is not a one-trick pony of a company, either. A large producer of smartphones (like the Galaxy lines for T-Mobile and Verizon), Samsung also participates in other fast-growing technologies like digital TVs, flash memory, and liquid crystal displays. Yun graduated from Seoul National University in 1966 with a bachelor’s degree in electrical engineering. He also completed MIT’s Sloan School of Management’s Senior Executive Program in 1988. 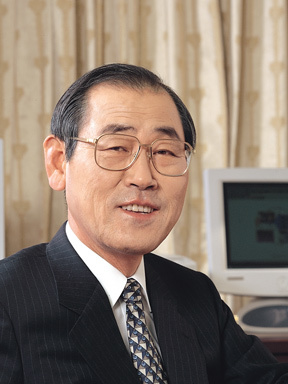 Previous to his time as Samsung’s CEO, he worked in the company’s television division, headed up the Tokyo branch office, directed South Korea’s Television Business Division, and directed the Video Business Division—where he helped develop VCR technology. From there, Yun continued the upward motion, slowly gaining power and influence within the company. Despite the fact that Jong Yong Yun’s tenure at Samsung ended five years ago—in 2008—he is still considered one of the best performing CEOs in the world. Harvard Business Review lists him as #3, only listed behind the legendary Steve Jobs and Amazon powerhouse Jeff Bezos.